We released the first version of anti spam extensions CleanTalk for phpBB 3.1. The extension protects phpBB 3.1 from registration spam bots, spam posts and new spam topics on the board. Protection from spam bots registrations. Protection from spam bots topics and posts. Filtering by the user groups Guests and New users. Filtering posts by “stop words”. 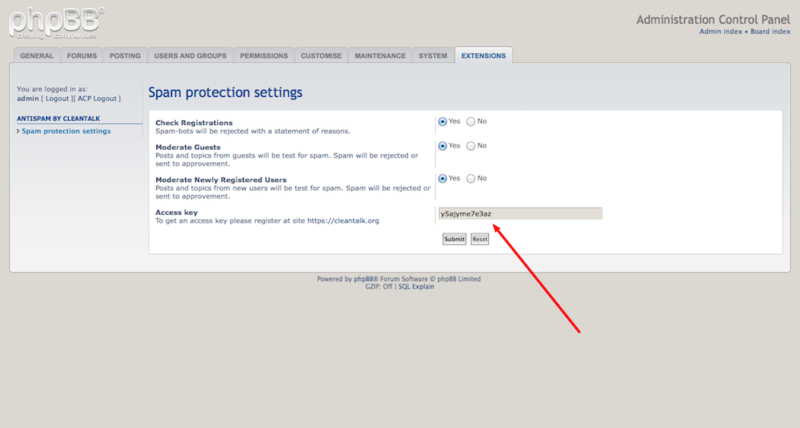 phpBB 3.1 anti spam extension settings. The extension is compatible with phpBB version 3.1.1 and above. Setup manual anti spam extension CleanTalk for phpBB 3.1. 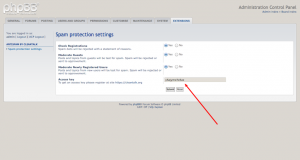 Isn’t possible to remove already registered spammy user in phpbb? on the Cleantalk wordpress version you are doing it amazing. You will find an option to check registered accounts over our database and remove spam accounts.